Thirty-two round cut, channel set diamonds encircle the White Gold Channel Diamond Eternity Ring , making it a piece of jewelry that epitomizes eternal love. This simple yet sparkling band is perfect to wear alone or to pair with your choice of engagement ring. Approximately 1 carat total diamond weight and available in either 14 or 18 karat white gold, this ring is a classic style that should be in everyone’s jewelry box. 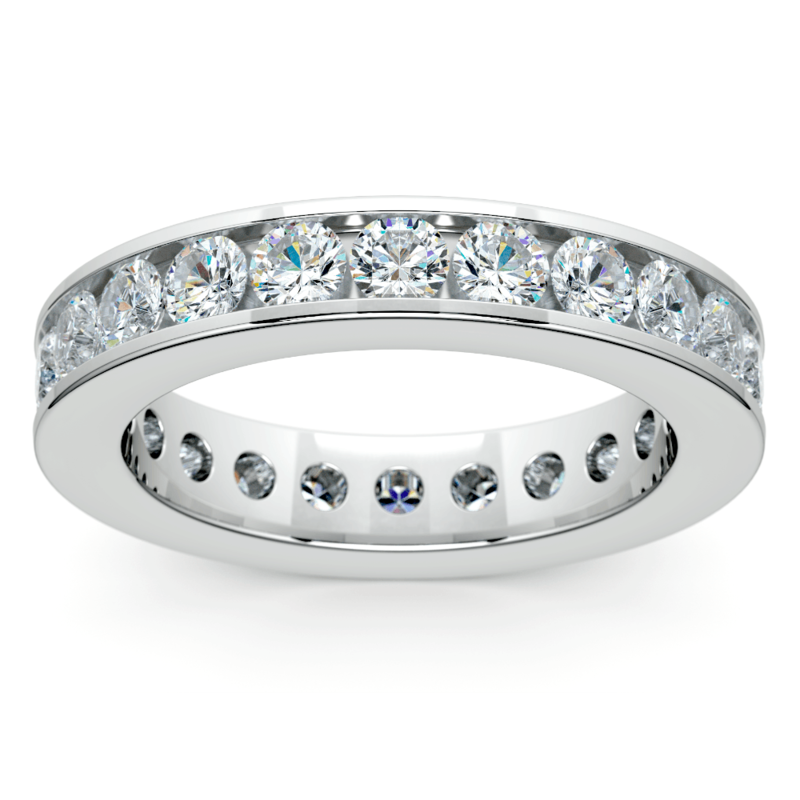 Love this diamond eternity ring? Visit our entire collection here: Diamond Eternity Bands.